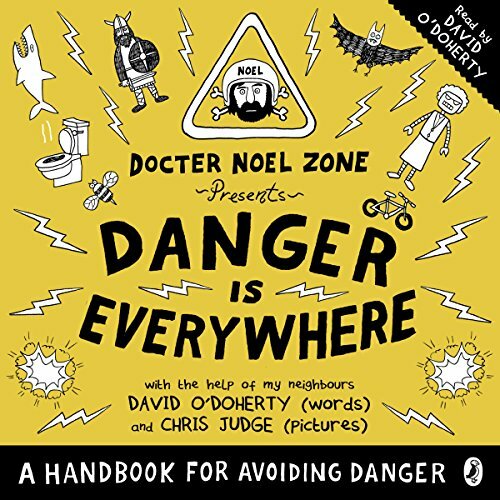 Showing results by author "David O'Doherty"
Taken from the tape recordings of the enigmatic and ultra-cautious dangerologist Docter Noel Zone, Danger Is Everywhere is a brilliantly funny audiobook for avoiding danger of all kinds that will have you laughing out loud (very safely) from start to finish. Does it warn you about what to do if a shark comes up out of the loo while you are sitting on it? Yes, it does. And what to do if a volcano erupts underneath your house? After you've made sure it's not a neighbour's barbecue, this audiobook will let you know exactly how to deal with it. This fully illustrated, totally wacky handbook is about an everyman who is afraid of everything! 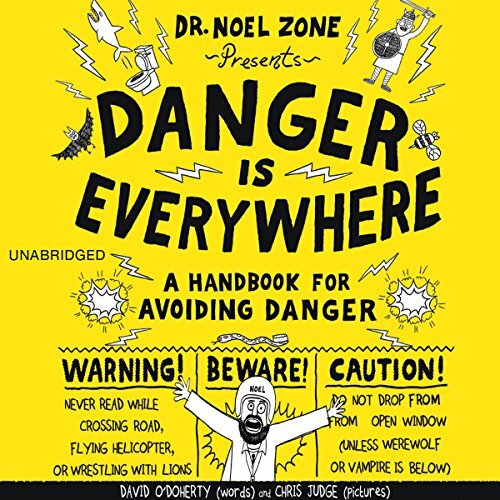 Dr. Noel Zone, the greatest (and only) dangerologist in the world, is ready to teach listeners how to avoid danger at all costs - from sneaky snakes posing as toothbrushes, to sharks hiding in toilets, to robots disguised at kindly grandmas. 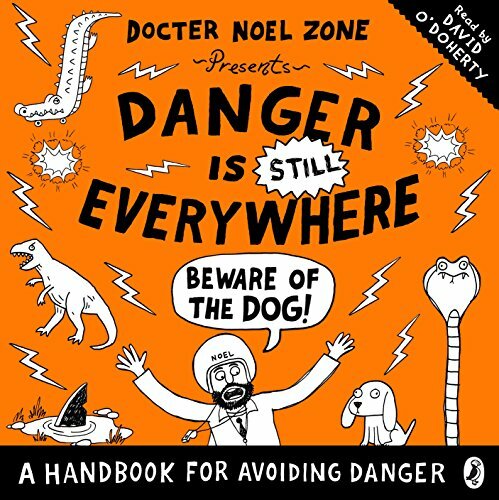 Penguin presents the unabridged, downloadable audiobook edition of Danger is STILL Everywhere: Beware the Dog, written and read by David O'Doherty. Will Docter Noel Zone's second book tell you how to combat a Crocuum? Yes. And reveal the secrets of the world's greatest (and only) Dangerologist? That, too. Has he written it yet? No. Is it because he's hiding in a wardrobe? Maybe.